Employers have several legal obligations under California law, including their obligation to pay for all hours worked, pay overtime, provide duty free rest and meal breaks, pay at least minimum wage, and reimburse for expenses related to the performance of job duties. If your employer has violated any of your rights under California law, you may be entitled to compensation. In violating your rights, it is possible that your employer may have violated the rights of your coworkers, too. In that event, you may be to file a class action lawsuit against your employer or former employer. We offer a free confidential initial telephone intake to prospective clients. We also accept cases on a contingency fee basis. If you need a Los Angeles employment class action lawyer call us today at (818) 237-5267 (Burbank) or (213) 986-8432 (Los Angeles) or (310) 295-1654 (Beverly Hills) or you can fill out our quick and easy online Case Evaluation Form; this is the fastest way to get your case screened by an attorney. We do not charge prospective clients for a confidential telephone intake or online case review. What is an Employee Class Action/Collective Action? A class action/collective action lawsuit may be the only alternative to employees when the damages are not high enough to substantiate the costs of a lawsuit. This may also be the best way of obtaining social justice as the employer is likely to pay closer attention to the issue raised because of the magnitude of the damages. Only one employee is needed to begin a class action/collective action. That employee is considered the representative of the class. The employees are called the class, or plaintiffs, of the lawsuit, and each employee is a class member. Although only one employee is needed to begin a lawsuit, the class (i.e. number of employees) must be big enough to satisfy the requirements of class action/collective action statutes. Your employer’s violation of federal or California employment law can be the basis of a class action or collective action lawsuit, as long as you have colleagues who have suffered similar injuries, even if those injuries are relatively small. The group of people allowed to join the class is not limited to current employees of the defendant. Even if you were fired or quit your job by choice, you can still potentially be part of a class action lawsuit against your former employer if he or she has violated your rights. Why Should I File or Join a Class Action? Class actions can be the ideal vehicle for compensating employees whose rights may have been violated only marginally, or whose damages may not add up to a large amount of money. For example, employers are required by California law to provide a 30-minute meal break to all employees who work five hours or more. An employer who violates this law is liable for a penalty equal to one hour of the employee’s normal wage for each day a meal break is not provided. Therefore, even if your employer refused to give you a meal break for an entire week, the damages in your case may not be enough to justify the costs of filing and litigating a single lawsuit. But, a class action lawsuit may be the best way for you and your coworkers to receive compensation for the violation of your rights if you all experienced the same illegal treatment. If a class action is not filed, then, the employer is likely to continue with the illegal actions because its actions do not have any repercussions or because it is less expensive to just fight one individual action for small damages. Of course, class actions are not limited to minor infractions or small damages. Employees who are owed years of overtime pay or who are victims of repeated harassment could also file a class action lawsuit. If you have been deprived of rest and meal breaks, you may be able to file a lawsuit with the help of a Los Angeles employment attorney. Gallenberg PC has helped many Californians protect their rights at work. Rosa Vigil-Gallenberg the founder and attorney of Gallenberg PC has extensive experience helping employees pursue their class action claims. A Los Angeles class action lawyer at our office may be able to take your case on a contingency fee basis. To be considered, you can fill out our quick and easy free online Case Evaluation Form; this is the fastest way to get your case screened by an attorney. 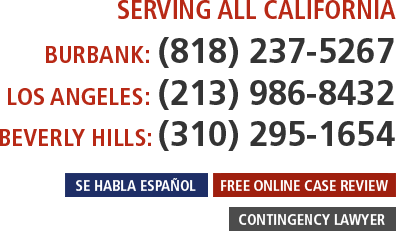 You can also submit your case for review to a Los Angeles class action attorney by dialing (213) 986-8432. For Beverly Hills, please call (310) 295-1654. To submit your case to an employment lawyer in Burbank and surrounding San Fernando Valley, please call (818) 237-5267. We do not charge prospective clients for a confidential telephone intake or online case review, so contact us now!